Mark Geyer is the new deputy director of the Johnson Space Center. He succeeds Kirk Shireman, who served as JSC’s deputy since 2013 and was recently named manager of the International Space Station Program, replacing Mike Suffredini, who is moving to private industry. Geyer, who joined the JSC team in mid-September, was the NASA Orion program manager for the past eight years. 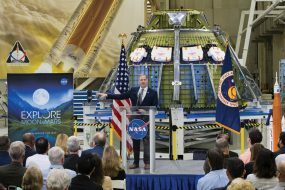 Under his leadership, the Orion multi-purpose crew vehicle saw its first test flight, which validated the flight control system and the heat shield at reentry. In his new position, Geyer will work with JSC Director Ellen Ochoa to manage one of NASA’s largest installations, with nearly 14,000 civil service and contractor employees – including those at White Sands Test Facility in Las Cruces, N. M. – and an annual budget of approximately $5.1 billion. Geyer will help oversee a broad range of human spaceflight activities. 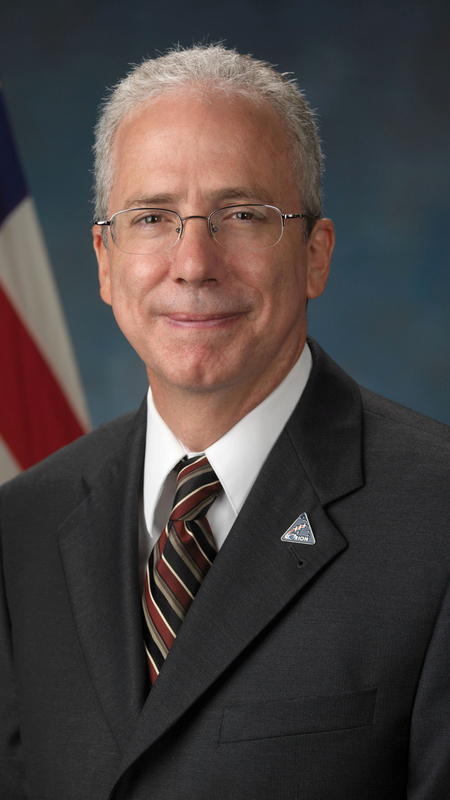 Geyer, a native of Indianapolis, also served as deputy program manager of the Constellation Program from 2004 to 2007, and along with the program manager, was responsible for the day-to-day management, development, and integration of program elements for the deep space exploration program. Geyer earned Masters and Bachelor of Science degrees in Aeronautics and Astronautics Engineering at Purdue University. He and his wife Jacqueline have three children, Samantha, Russell and Andrew.